Straw green color. Buttery, tropical aromas and flavors of warm coconut custard pie, vanilla buttercream, and pineapple upside down cake with a satiny, bright, fruity medium-to-full body and an effortless, complex, very long finish imparting notes of apple pie a la mode, praline, and fine baking spices with fine, crunchy tannins and moderate oak flavor. A lush, fruity, oaky chardonnay with waves of tasty, creamy flavors. 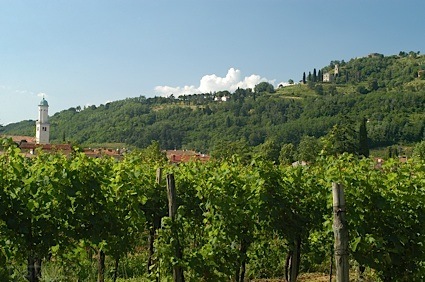 Bottom Line: A lush, fruity, oaky chardonnay with waves of tasty, creamy flavors. 93 • J. Bookwalter 2016 Conner-Lee Vineyard Double Plot, Chardonnay, Columbia Valley 13.8% (USA) $45.00. 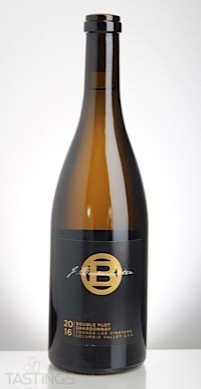 J. Bookwalter 2016 Conner-Lee Vineyard Double Plot, Chardonnay, Columbia Valley rating was calculated by tastings.com to be 93 points out of 100 on 3/13/2018. Please note that MSRP may have changed since the date of our review.